I Bought 13 Books Today! 1. I Know It’s Over by C.K Kelley Martin: YAY!!!!!! Everyone’s totally raving and I finally got me a copy! 2. 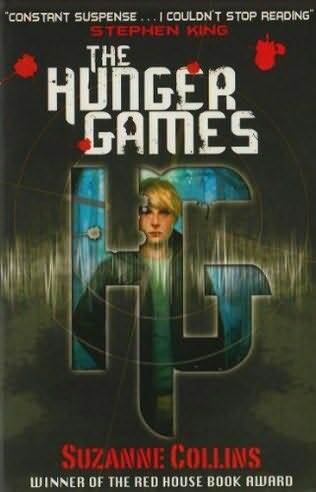 The Hunger Games by Suzanne Collins: My mom read the back and even she’s interested in it. 3. Living Dead Girl by Elizabeth Scott: I think my love for Elizabeth Scott books is understandable… she’s amazing. 4. Before I Die by Jenny Downham: I’ve been eyeing this one, just never bought it. I saw a review on a fellow blogger’s blog and can’t remember which one. I was encouraged to get it by them. 5. A Great and Terrible Beauty by Libba Bray: I’ve been wanting this one… it looks really good. 6. Cracked Up To Be by Courtney Summers: Have you seen all of the reviews for this one? 7. In Your Room by Jordanna Fraiberg: I just want to read a good love story. I think this will do the trick. 8. Looking for Alaska by John Green: This is like everybody’s favorite book. And I love me some John Green. 9. Just Like That by Marsha Qualey: This wasn’t originally on my list but it caught my eye. The plot looks intriguing and the cover is beautiful. 10-13. The Sisterhood of the Traveling Pants series by Ann Brashares: I was really hoping for this. Everyone has read it and I haven’t! Lucky, eh? See you guys! You are currently browsing the What Vanessa Reads blog archives for the day Tuesday, December 23rd, 2008.